Yep, letterpress is gorgeous and we love designing for it. Select a service below to see more work! Take a peek at our wedding invitation projects! We offer a number of services that will spice up any suite such as edge painting, watercolor, and envelope liners. They sky's the limit, inquire about your specific project. 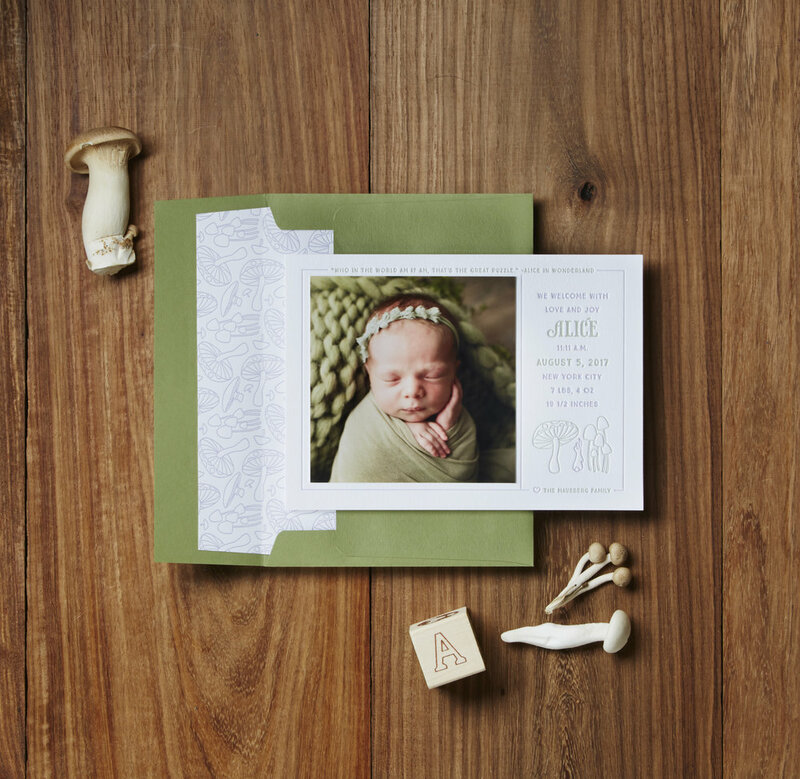 Introduce the newest member of your clan to family and friends with an adorable birth announcement. We also do adoption announcements for kids born of your heart and worth the wait. If you or your business are looking for stationery items such as business cards, note cards, letterhead, or other paper goods, please get in touch. We do, both, personal custom stationery, as well as corporate projects.